• Honey is one of naturally occurring remedies that can be used in the treatment of non-healing wounds. • Honey-impregnated dressings significantly reduced the healing time of non-healing wounds in home care setting. • Honey-impregnated dressings reduced wound pain intensity in elderly. The study aimed to determine the clinical effectiveness of honey dressings in the management of non-healing wounds in elderly persons receiving home care. Design: a prospective interventional study. The sample comprised 40 Czech home care clients (aged over 65 years) with non-healing wounds who were randomly assigned to two groups. Wounds were treated with honey (intervention group) or conventional (controls) dressings. Each wound was studied for three months. A detailed description of a wound (location, size, wound bed, edges, amount of exudate, odor, adjacent skin) were recorded. Wounds were assessed with the Wound Healing Continuum and pain intensity with the Visual Analog Scale. Over the 3-month period, 16 (80%) individuals in the intervention group had their wounds completely healed, as compared with only six (30%) controls. There was no statistically significant difference in wound size between the groups on Day 1 (p = 0.1801). Ninety days later, the difference in wound size between the groups was statistically significant (p = 0.0041). There was a statistically significant difference in pain intensity between the two groups (p = 0.0007), with higher pain scores being indicated by controls. The study results showed that the application of honey dressings to non-healing wounds resulted in faster healing, wound size reduction and lower pain intensity. The study aimed to evaluate the antimicrobial activity, antioxidant, toxicity and phytochemical screening of the Red Propolis Alagoas. Antimicrobial activity was evaluated by disk diffusion method. Determination of antioxidant activity was performed using the DPPH assay (1.1-diphenyl-2-picrylhydrazyl), FTC (ferric thiocyanate) and determination of phenolic compounds by Follin method. Toxicity was performed by the method of Artemia salina and cytotoxicity by MTT method. The phytochemical screening for the detection of allelochemicals was performed. The ethanol extract of propolis of Alagoas showed significant results for antimicrobial activity, and inhibitory activity for Staphylococcus aureus and Candida krusei. The antioxidant activity of the FTC method was 80% to 108.3% hydrogen peroxide kidnapping, the DPPH method showed an EC50 3.97 mg/mL, the content of total phenolic compounds was determined by calibration curve gallic acid, resulting from 0.0005 mg/100 g of gallic acid equivalent. The extract was non-toxic by A. salina method. The propolis extract showed high activity with a higher percentage than 75% inhibition of tumor cells OVCAR-8, SF-295 and HCT116. Chemical constituents were observed as flavonones, xanthones, flavonols, and Chalcones Auronas, Catechins and leucoanthocyanidins. 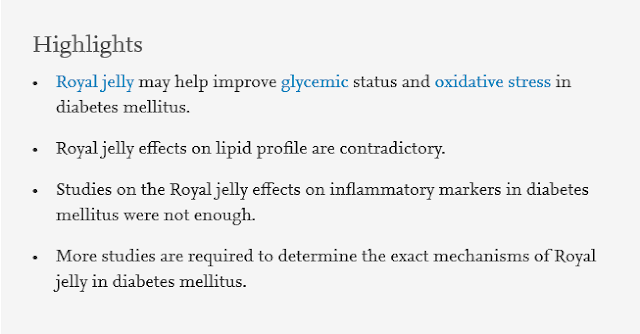 It is concluded that the extract can be tested is considered a potential source of bioactive metabolites. Propolis, a resinous substance produced by the Apis mellifera bee, contains a number of flavonoids sourced from plants found in the surrounding region. Whilst bees use this substance to seal off and protect the beehive, humans have used propolis therapeutically for centuries, making use of its antibacterial, antiseptic, antipyretic and wound healing properties, among others. South African propolis is rich in the flavonoids pinocembrin, galangin, and chrysin and very little previous research has been conducted on the antimicrobial effects of these compounds. To obtain an understanding of the antimicrobial activity of the compounds pinocembrin, galangin, and chrysin, both independently and in combination. The compounds pinocembrin, galangin and chrysin were investigated for interactive antimicrobial activity by determining the minimum inhibitory concentrations (MIC), minimum bactericidal concentrations (MBC), anti-quorum sensing activity, biofilm studies, and cytotoxicity studies (brine shrimp lethality assay). 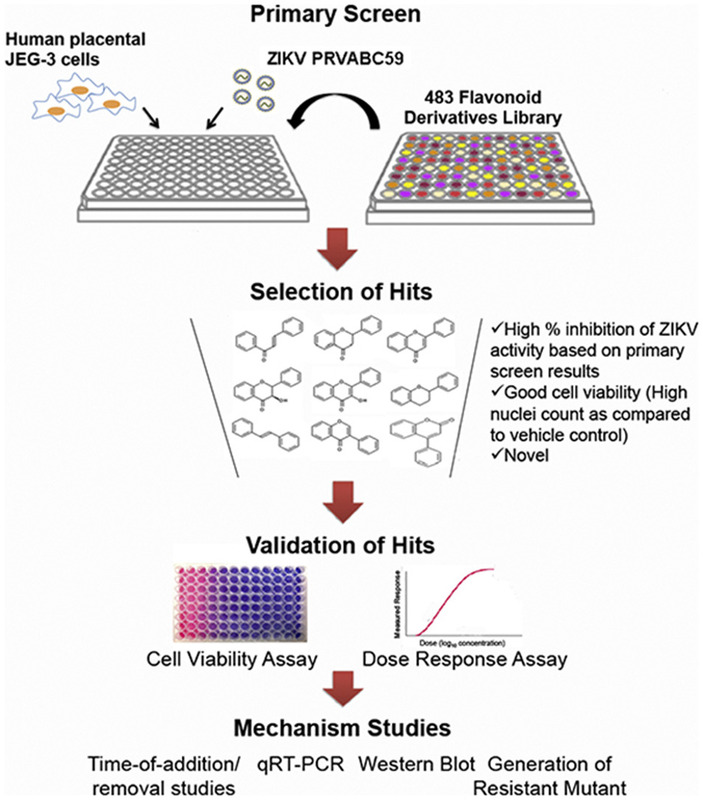 Minimum inhibitory concentration results demonstrated that combinations of compounds showed better inhibitory activity than single compounds. When the flavonoids were tested in combination using the MIC assay, synergy was noted for 22% of the 1:1 ratio combinations and for 66% of the triple 1:1:1 ratio combinations. Similarly, MBC results showed bactericidal activity from selected combinations, while the compounds on their own demonstrated no cidal activity. Quorum sensing studies showed that compound combinations are more effective at inhibiting bacterial communication than the individual compounds. Biofilm assays showed that the highest percentage inhibition was observed for the triple combination against E. coli at 24 h. Finally, brine shrimp lethality studies revealed that combinations of the three compounds had reduced cytotoxicity when compared to the individual compounds. The results obtained in this study demonstrate that the compounds found in South African propolis work synergistically to achieve an optimal antimicrobial effect, whilst simultaneously minimizing cytotoxicity. Background. Antimicrobial drug resistance is one of the serious issues this world is facing nowadays, and increased cost of searching for effective antimicrobial agents and the decreased rate of new drug discovery have made the situation increasingly worrisome. Objective. 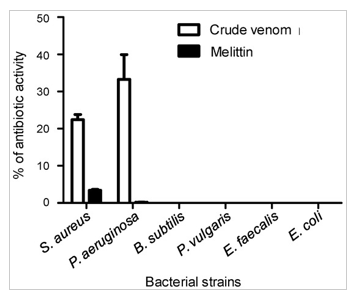 The aim of this study is to determine in vitro antibacterial activity of honey against methicillin-resistant Staphylococcus aureus isolates from wound infection. Methods. An experimental study was conducted from May to November 2017. 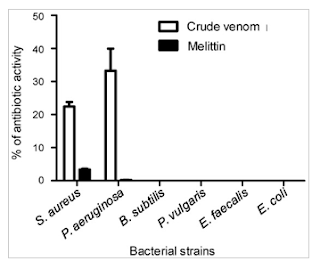 Methicillin resistance was detected using cefoxitin (30 μg) and oxacillin (1 μg) antibiotic discs. Different concentrations of honey (25–100% v/v) were tested against each type of clinical isolates obtained from wound infection. A preliminary sensitivity test was done to all types of honey by using disk diffusion while minimum inhibitory concentration and minimum bactericidal concentration were determined for the most potent honey by the broth dilution technique. All statistical analysis was performed by using Statistical Package for the Social Sciences version 20. Results. In this study, 36 bacterial isolates were recovered from 50 specimens, showing an isolation rate of 72%. The predominant bacteria isolated from the infected wounds were Staphylococcus aureus (15, 41.7%). Among identified Staphylococcus aureus, methicillin resistance accounts for 10 isolates (27.8%). All isolates showed a high frequency of resistance to tetracycline. 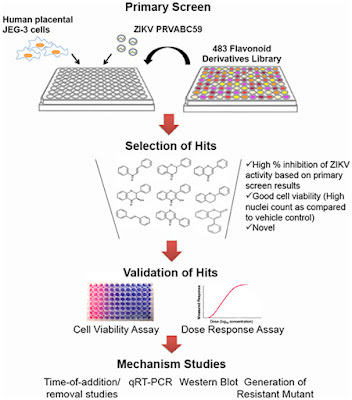 Four collected honey varieties exhibited antibacterial activity, while the strongest inhibitory activity was demonstrated by honey-2 at 75% v/v. The mean MIC and MBC of honey-2 ranged from 9.38 to 37.5% v/v. Conclusions. Tested honey has both a bacteriostatic and bactericidal activity. Among the tested honey, “honey-2” had high antibacterial potency than others. Propolis alleviates the negative effects of heat stress on egg production, egg quality, physiological and immunological aspects of laying Japanese quail. The present work was carried out to investigate the effects of dietary propolis supplementation to laying Japanese quail (Coturnix coturnix japonica) on egg production, egg quality, physiological and immunological aspects under heat stress conditions. A total of 200, 21-day-old, Japanese quail females were distributed equally into standard wired cages in two identical environmentally-controlled rooms (10 cages per room, 10 birds per cage). From 29-70 d of age, the quail birds in the first room remained at a normal temperature of 24°C (C group), whereas the quail birds in the second room were kept under heat stress at 35°C (HS group). Each group was further assigned to 2 propolis subgroups (5 cages per subgroup); one of them received a basal diet without propolis supplementation (-PR subgroup), while, the other received 1 g propolis/ kg basal diet (+PR subgroup). In the present study, performance and egg production of laying quail were significantly (P < 0.001) impaired by HS treatment and improved by the PR treatment. 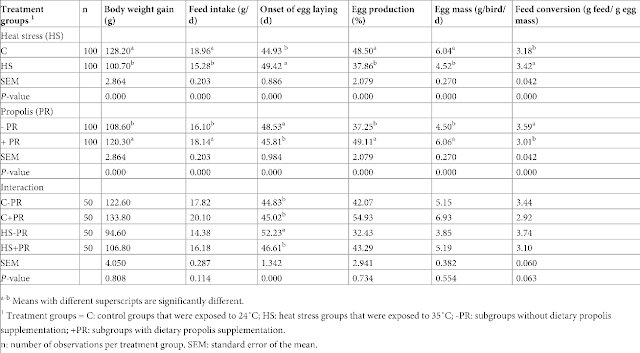 Similarly, the negative and positive effects of HS and PR, respectively, were appeared on the egg shell thickness and yolk index. 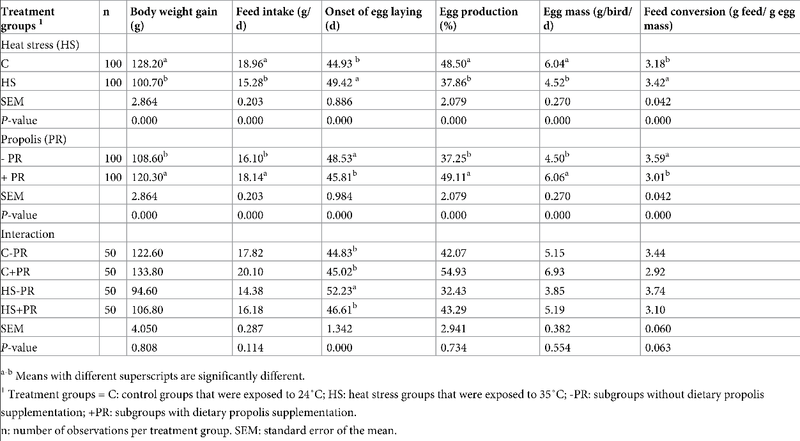 Stress indicators in laying quail were significantly (P < 0.001) increased by HS, while, PR significantly (P < 0.05) moderated these levels in the HS+PR group when compared to the HS-PR quail group. In addition to the positive impact of PR on the plasma levels of calcium, phosphorus, and albumin, it also normalized the plasma levels of alanine aminotransferase and cholesterol in the heat-stressed quail birds. Moreover, the quail birds in the HS groups expressed lower immunological aspects than those in the C group, while, the addition of propolis to the diets enhanced the immune status of laying quail birds under HS conditions. These results strongly suggest that dietary propolis supplementation could be a successful attempt to maintain the performance and egg production of laying Japanese quail at convenient levels under heat stress conditions. Bees create propolis by gathering the sticky resin from tree buds and bark, which gets combined with enzymes in their mouths to yield a substance that's antiviral, antibacterial, antifungal, anti-inflammatory, and an antioxidant. This propolis is then applied as a varnish on the cells of the honeycomb to help seal up cracks and create doorways, all the while helping prevent disease. "It contains a whole variety of health benefits," says Dr. Shah. "There are hundreds of natural antibacterial compounds, amino acids, and polyphenols. It's most significantly known in history for its infection-healing abilities, and Egyptians even used it during mummification. It has a subtle numbing quality as well." 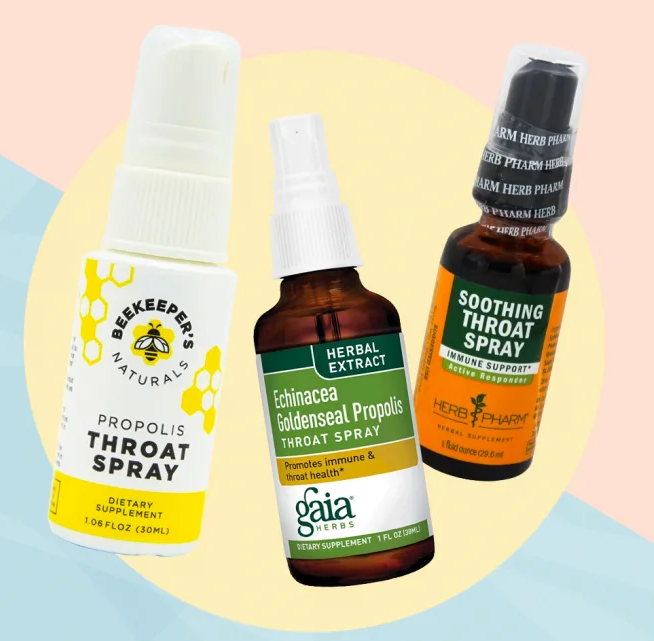 So it makes sense that a bee propolis throat spray can, in fact, ease pain and possibly even help fight the viral infection causing it. Even better, there are several high-quality options to choose from. Here, check out a few of our favorites, some of which contain additional anti-inflammatory herbs, and all of which are small enough to take on a plane with your carry-on luggage. Two new δ-tocotrienol derivatives with oxidized terminal chain: 5,6-dioxo-garcinoic acid (trans-13'-carboxy-5,6-dioxo-δ-tocotrienol) (2) and 5-hydroxy-8b-oxo garcinoic acid (trans-13'-carboxy-5-hydroxy-8b-oxo-δ-tocotrienol) (3), together with one known derivative garcinoic acid (trans-13'-carboxy-δ-tocotrienol) (1) were isolated from a Colombian propolis. Garcinoic acid was found as a propolis constituent for the first time. The isolated compounds and crude ethanolic extract demonstrated high antimicrobial activity against Staphylococcus aureus and Candida albicans (MICs range: 10-39 μg/ml) as well as promising antioxidant potential in DPPH assay. 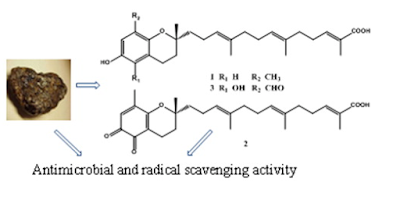 Compound 3 displayed highest radical scavenging activity, even higher than that of dl-α-tocopherol, used as a positive control.